Unfortunately, Bed Bugs are becoming more widespread than ever in the UK but although unpleasant, it can be dealt with fairly quickly with the use of Bed Bug killer sprays, smoke fumigators and bed bug proof mattress encasement / covers. If you are not too sure if you have Bed Bugs, you can monitor your bedroom with a Bed Bug Trap. The increase in the rapid rise of Bed bug infestations is due partly due to our travelling to other countries and inadvertently bringing them home in our luggage and clothes, But also bed bugs are easily passed (accidentally) from home to home on clothing and furniture. 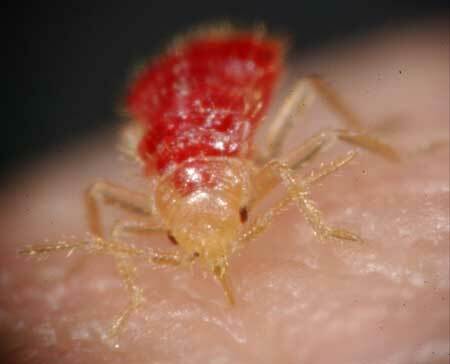 Bed Bugs are difficult to spot as they hide during the day, only to coming out at night to feed on our blood. They hide in tiny crevices within your bed frame or mattress and even behind skirting boards and electrical sockets. They are commonly found in mattresses, soft furnishings, carpets, chairs and settees. If you want to read more about Bed Bugs, we have lots of helpful information in our blog. A bed Bug bite is unpleasant, itchy and can leave noticeable marks behind. Bed Bugs are attracted to humans by our body heat and by being incredibly sensitive to the carbon dioxide we exhale in our breath. In the the year 2012 - 2013, infestations in the UK increased by a massive 60%. 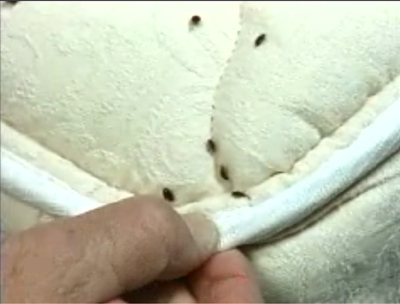 The sooner you identify a bed bug problem, the easier it is to deal with it. However, in reality, if you have bed bugs crawling up the wall in droves, you are going to need more than a couple of cans of insecticide and it might be best to phone a local pest control call out company.